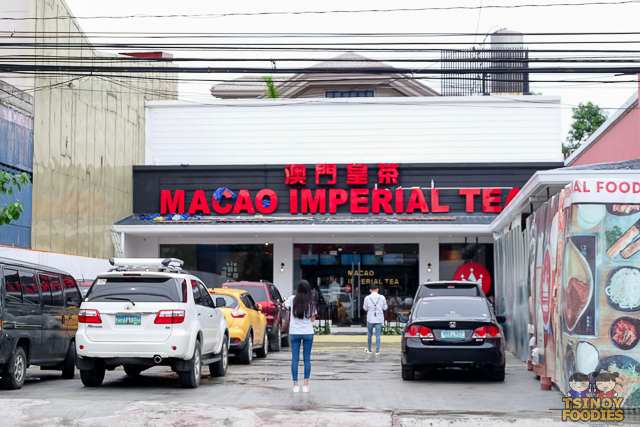 I first spotted Macao Imperial Tea being constructed when we dined at Shabu Shabu Ichiban in Circuit Makati. To my surprise, they have another one in Banawe (right in front of Eng Ho) and I was so fortunate to be invited to its grand opening! Yey! 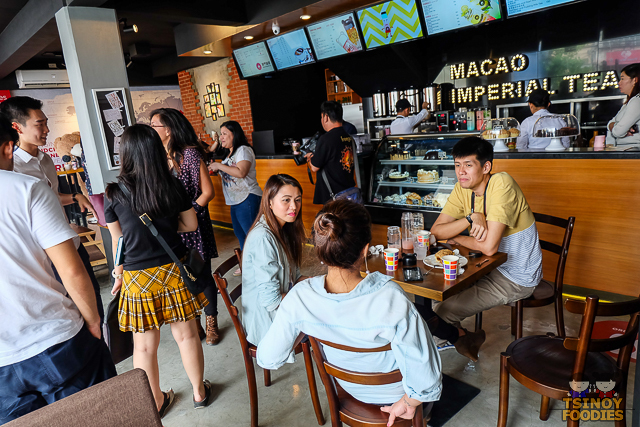 Finally, Macao Imperial Tea with over 200 branches in Macau, Vietnam, China (Shandong, Beijing, Inner Mongolia, Shanghai, Jiangsu, Hainan, Guangdong, Fujian, Juangxi, Hunan, Sichuan, Guangxi, Anhui and Guizhou) United States and Canada is finally here in the Philippines. 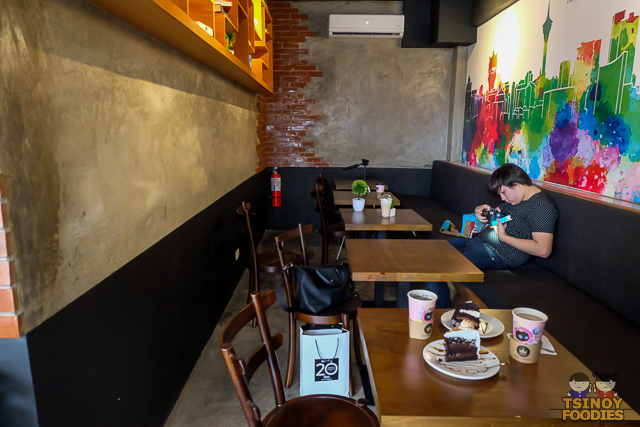 The store in Banawe is so spacious with an al fresco and cozy indoor area. I just love its interiors. I highly recommend this as a student study area and work area. It is so comfortable, private and more importantly, there are power outlets for each table. I initially thought that they were all about drinks. But, turns out that they have food too. 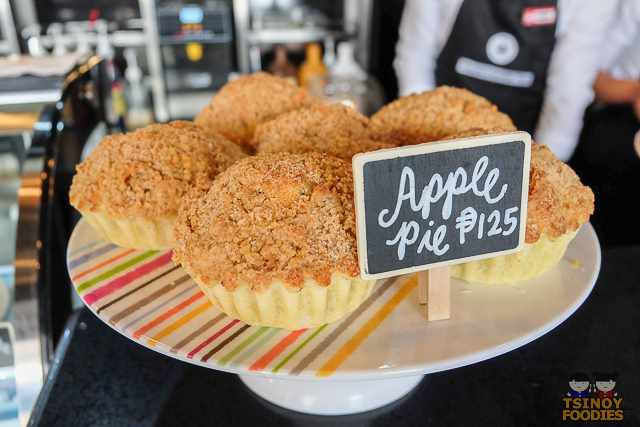 I heard the Apple Pie and Chocolate Lava Cake is good. But, I didn't get to try those. Instead, this is what I had. 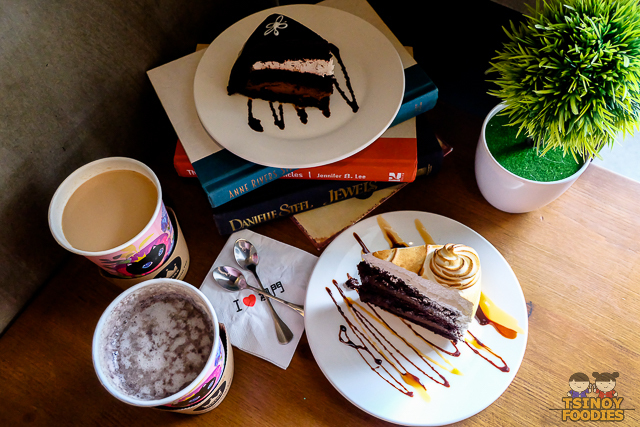 The Chocolate Dome Cake is really good! It was rich and bitter sweet. 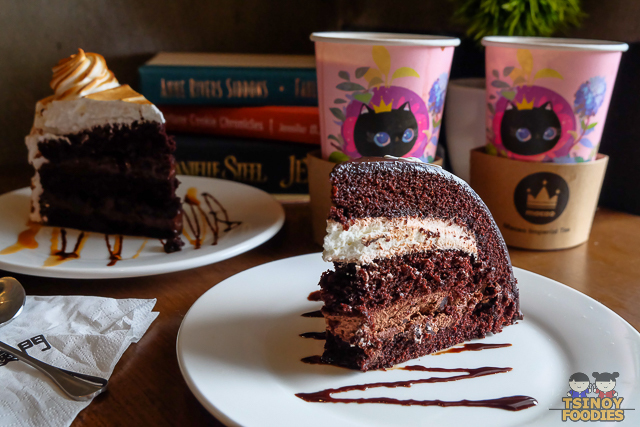 I really had no idea what I was thinking by ordering two kinds of chocolate cakes. 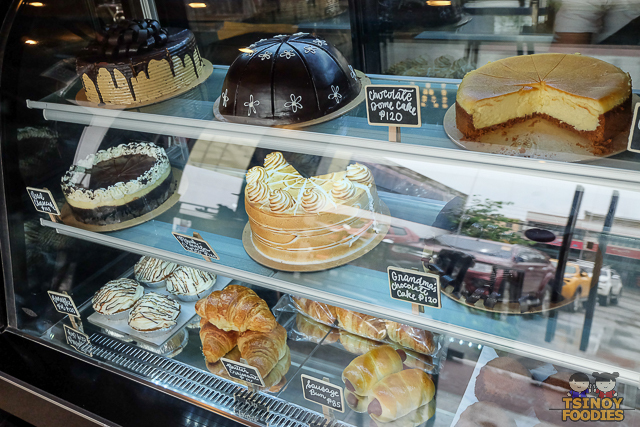 But, it made me realize that I liked the Chocolate Dome Cake better because it was richer. 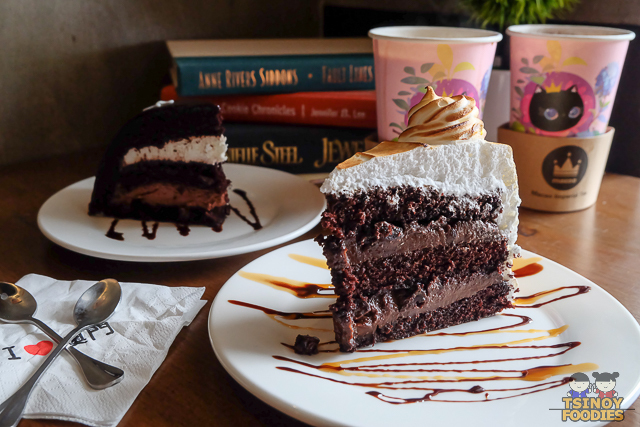 But, the Marshmallow Chocolate Cake offered smooth mallow icing and some chocolate chunks which made it a bit interesting and worth a try. I also loved the Walnut Black Sesame Fresh Milk. It comes with red beans as toppings. I will probably order that again when I'm not craving for caffeine. 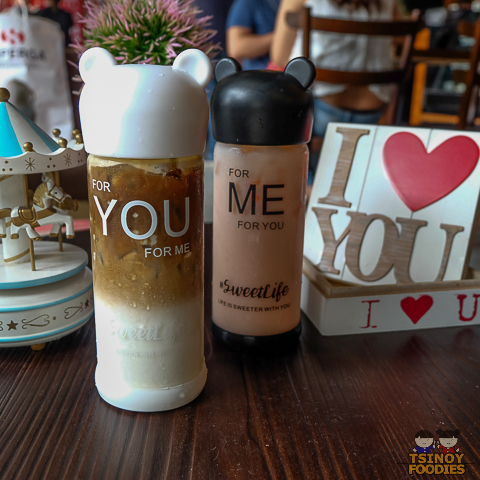 A must buy on your first visit to Macao Imperial Tea is the For You - Caramel Macchiato and For Me - strawberry milkshake (reminds you of a song right?). These are so cute! I was surprised that it is actually made of glass. For the price, its quite a steal. This is a perfect little surprise for your loved one/s. 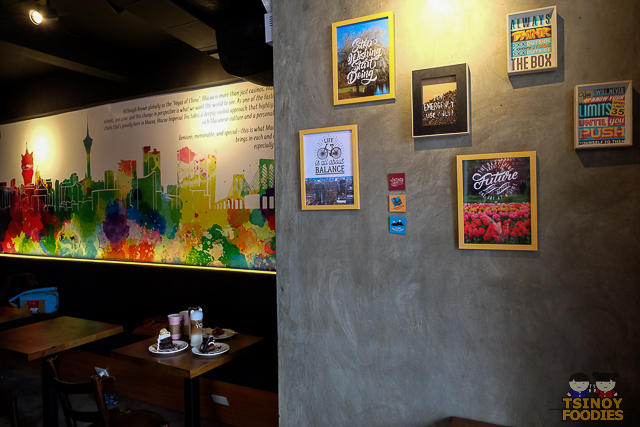 Overheard from the When In Manila team from the next table, "you guys must order and take a photo of their sodas! That's the highlight". So I was intrigued and ordered the Over the Rainbow Soda. It is served in a plastic tumbler. 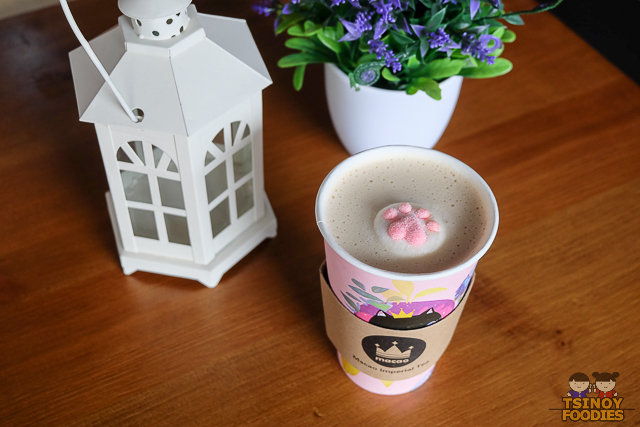 It's not as cool as the bear-shaped glass tumbler of For You and For Me but the rainbow color makes you want to try it right? According to owner Fredley, this is best consumed within 2 hours from purchase. I tried shaking my technicolor-ed Over the Rainbow Soda and it turned light pink. I was a pretty good sweet drink. 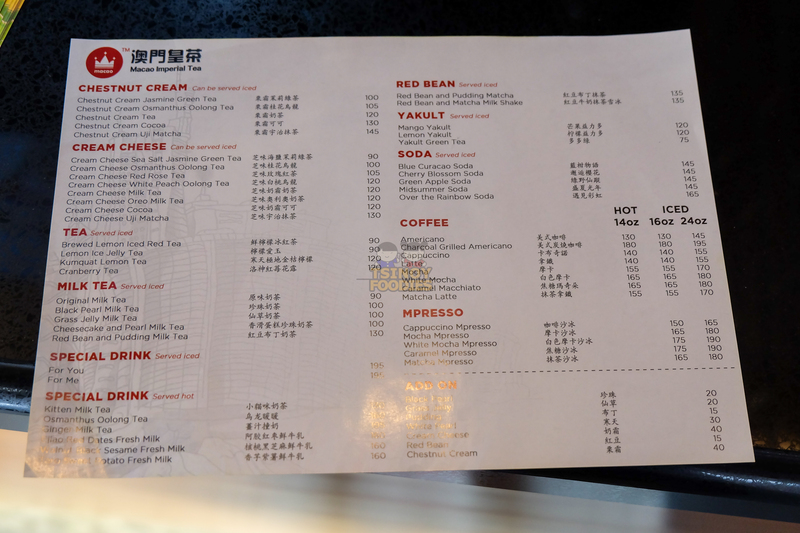 But, I think I prefer the special drinks I've tried. 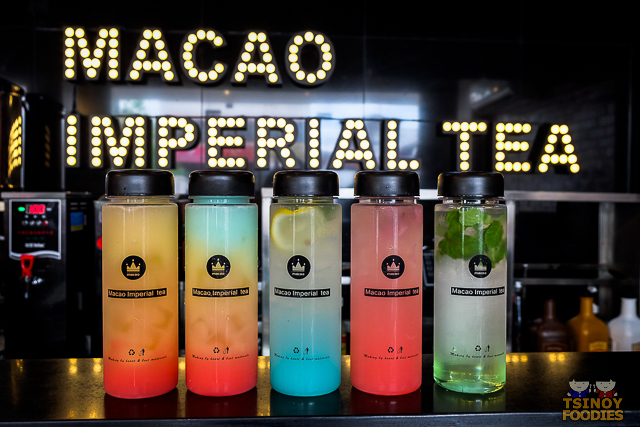 I feel that I barely scratched the surface in trying out Macao Imperial Tea's drinks because they have so many options. I have to come back and try their Chestnut Cream, Cream Cheese, Tea, Milk Tea, Red Bean, Yakult, Coffee and Mpresso series next.